Have you ever had a season of life when you needed desperately to “Keep it Simple”? I’m convinced, if I hadn’t gone through one of the most challenging seasons of my life, the thought of simplicity might never have crossed my mind, and the mind is where our battles often rage. In 1986, the year I began to draw a sober breath, I heard the now-familiar catchphrase, K.I.S.S. : Keep It Simple Stupid. It’s not like I could just quit drinking and not find something to fill the void. Chances were, I’d fill the void with something. Not wanting the insanity of any other addiction, I became determined to fill-up on the truth, and I was hearing a ton of it at 12 Step meetings of Alcoholics Anonymous and AlAnon. GOD, grant me the serenity to ACCEPT the things I cannot change; COURAGE to change the things I can, and the WISDOM to know the difference. At first though, in listening to how others in the meeting rooms approached working those puzzling 12 steps, I complicated things. Did I need to understand/work/integrate Steps One, Two, and Three; make a chart; fill a notebook; or make some kind of mature decisions before completing all 12? Revelation number one: I could apply one of the slogans they kept referring to. In other words, let my Creator direct the process in my mind and heart. I already had faith, though somewhat shaky. Guilt, unresolved anger and grief, topped with resentments, were floating around my as-of-yet, unrecovered and murky psyche. Could I simply purposefully let go of any expectations where my grasp of the steps was concerned? It kind of let me off the hook. But I’m here to testify, after 32 years of sobriety, the truths for me began the day I decided to simply let go, and to allow the understanding of my recovery to unfold naturally. I’d heard it said that stopping drinking was one thing; recovering was another. Oh, so it’s not that simple? Paradoxically, when an alcoholic is unable to keep things simple, and begins to complicate his or her sobriety, they may very well get drunk again, or go crazy in the process. And that’s not hyperbole. In a way, embracing simplicity is what Jesus described when He taught us to look at the children. The Greek word for “receive,” literally means to take with the hand, to take hold of, and to embrace. One of the dearest pictures of a trusting child is when they reach for your hand. With our three granddaughters, ages 7, 6 and 2, holding onto their hand feels like finding a missing puzzle piece and locking it in. I treasure the way the little ones help me keep it simple. We make up stories to tell each other. We make messes we clean up later. We walk down to the lake, watch the ducks and count the turtles. Fulfilling our God-given potential has little to do with greatness; performing ordinary, everyday tasks becomes meaningful. I’ll leave you with the words of my hero, the wise young writer, Anne Frank. Thank you for sharing, Tammy, my sweet sister! May we always nurture that little-girl-side, the one where we can always be ourselves. Love you! Thanks, Diane. How ironic we can read Anne Frank’s beautiful words describing the importance of the outdoors, yet we read them from her diary, the one she kept while trapped indoors. Simplicity was a real challenge to write about! Interesting to me is that 1986 was a pivital year for me also. 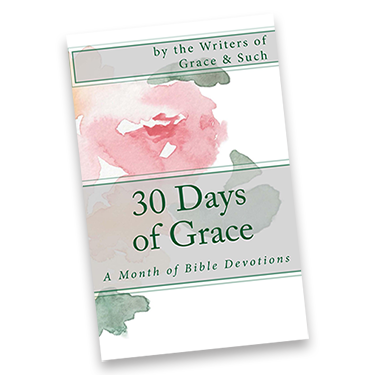 It was the year I learned about Grace, even after many years of being a Christian. God was certianly moving that year! Thanks for sharing that! We were certainly ripe for change at that time, Psalm 40 coming to reality! Praise God we surrendered! Another beautiful & inspiring story Sarah!! I relate to the simplicity our little ones give us with those little hands reaching out & their delight in every little thing. A sweet reminder of how God speaks through the simple & loves us so well. Thanks for sharing! Thank you, Susan! And thank God for children who remind us of that sweetness unlike any other! Wow. Thank you for the vulnerability in sharing your story, Sarah. My mom was an alcoholic, and I believe it was simple self-medication – life made her anxious and depressed, and she medicated with alcohol to help herself cope. I, too, deal with anxiety and depression, and I believe, were it not for God’s grace in educating me about such through amazing people, as well as helping me to find appropriate medication, I absolutely would have been an alcoholic, as well. You write so beautifully of surrender – of allowing a God-sized God to fill that God-sized hole (whatever it is) in our hearts. It really IS that simple. Not easy, mind you. But yes, the perspective of childlike faith helps us to realize that we don’t have to have all the answers. We can just live in the moment and allow God do what He will in our lives, knowing that we can trust Him. Knowing that He loves us beyond imagination. Thank you for sharing. We are complicated women, and our moms were too. It would have been so nice had our they had healthier ways to cope with their inner turmoil. Have you read Angela’s Ashes? I devoured that book and had a kind of catharsis afterward. It helped me accept the role my dad had learned to play; the Irish culture/mentality had been passed down/through him (no wonder he relished being so ornery) and Mom, who had a pretty traumatic childhood, was attracted to him for this and many other reasons, I’m sure. Together, they forged a drinking alliance and we six kids were expected to cope the best we could. Thank God you and I have developed coping skills crafted by the one true parent, Abba Father. He is the great interventionist. I hope you’ll read my memoir when it comes out this fall. Thanks again for sharing, Gretchen. I LOVED Angela’s Ashes! And to be clear…I hold no ill will towards my mom. She did what she could with what she had. Just…tough sometimes for both of us. Looking forward to reading your memoir! Congratulations!